Preventing hair loss and promoting a healthy head of hair – HAIRDEPOT - Hair & Scalp Care Products, Prevent Hair Loss, Shampoo, Conditioner, Treatment, Styling, Appliances and more! 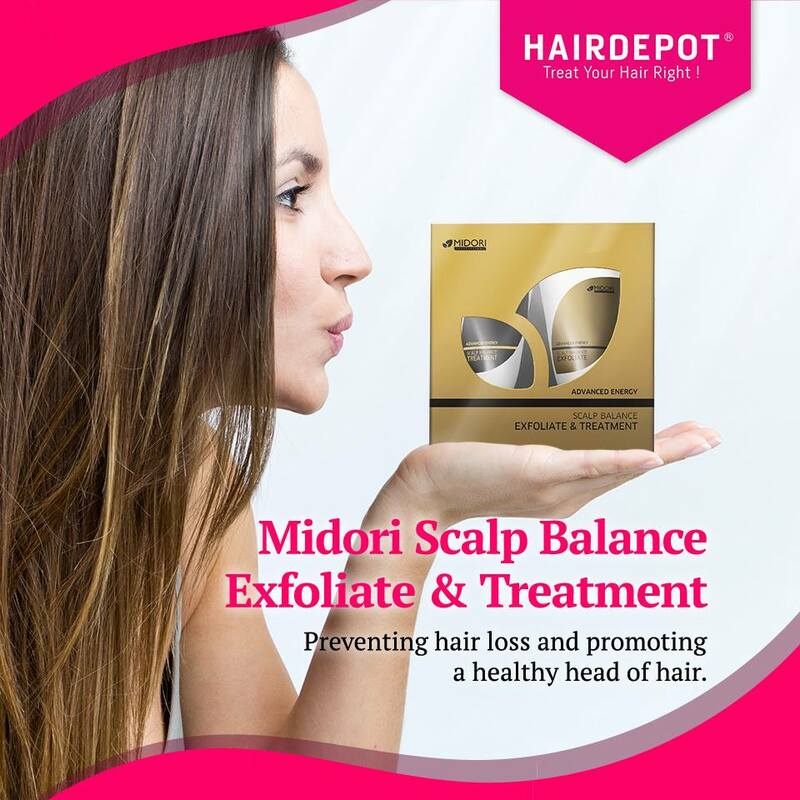 Midori Scalp Balance Exfoliate (60ML) & Treatment (60ML) is your first step forward towards preventing hair loss and promoting a healthy head of hair. 1) Midori Scalp Balance Exfoliating Treatment is a powerful exfoliant that melts away the effects of aging and creates a healthy environment for hair growth. Add density and strength to your hair with this soothing and stimulating exfoliant! 2) Midori Scalp Balance Treatment contains moisturizing ingredients and enriched with a cooling agent for a refreshing sensation which soothes, calms and which also nourishes the scalp.